There are a number of different terms regarding TBIs that are important to understand. We’ve tried to start helpful guide for these terms that, while not exhaustive, will help with general understanding when lawyers, doctors, and other medical professionals drop them in conversation without explanation. Aneurism: A condition where an artery of the brain has become enlarged or dilated and the wall of the brain has been weakened as a result of physical trauma. Anoxia/Hypoxia: Both of these terms refer to the depletion of oxygen entering the brain through the bloodstream. Hypoxia refers to the brain not getting enough oxygen necessary to function properly, while Anoxia refers to a complete absence of oxygen being delivered to the brain. Aphasia/Dysphasia: Someone who has trouble fluently understanding or communicating language following a brain injury may be diagnosed with one of these conditions. Partial loss of language capabilities is called dysphasia, while a complete loss is called aphasia. Athetosis: This is a rare condition that is identified by unusual wriggling or fidgety movements in the hands that can occur as a result of a traumatic brain injury or other types of brain disorders. Basal Ganglia: This term refers to the grey matter found deep inside of the brain tissue below the cerebral cortex, which controls movement. Injury to this area can result in uncontrollable ticks and movements similar to those from Parkinson’s disease. Brain Stem: The stem is the ‘base’ of the brain. Most higher functioning depends on it. It is located at the bottom of the brain and connects it to the spinal cord. Cerebellum: The term used to describe the area found at the back of the brain. The cerebellum is responsible for controlling motor skills, coordination and balance. Cerebral Cortex: Defined as the layer of grey matter found at the top of the brain and is responsible for perception, voluntary movement, thought, language and memory. Cerebral Hemispheres: This term refers to the right and left sides of the brain that are divided down the middle. While both halves do play a role in carrying out certain bodily functions, each half tends to have a distinguished responsibility for each particular function. 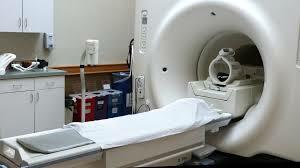 CT/CAT Scan: Two terms for the same type of test (that used to be called an EMI scan, named after the company that made the scanner). This examination consists of several X-rays taken at various levels and combined to create a full, detailed picture of the brain. This examination helps medical professionals understand the location and severity of a brain injury. Dyspraxia: Defined by a person’s inability to carry out purposeful movements while still maintaining his or her ability to move and be aware of the movements being made. Electroencephalogram: A common test (abbreviated as “EEG”) that is often used to measure levels of electrical activity within the brain. Brain cells give off small electrical signals on a regular basis. This test helps diagnose brain injuries and determine how active the brain is. Frontal Lobes: Responsible for voluntary movement, speech, thinking, decision-making and planning and are found at the front of each cerebral hemisphere. Grey Matter: The nerve cell bodies found in the brain that are grey in color and together comprise the cerebral cortex. Hematoma: A term used to diagnose a patient with a brain injury that results in pooling of blood and swelling that actually compresses the brain, which can cause further permanent brain damage. Hippocampus: The structure located on the inside surface of the temporal lobes of the brain. It has an important role in memory capabilities, and significant damage can result in memory loss. Intracranial Pressure Monitor: The ICP is a device that is inserted into the skull and measures the pressure inside of the skull. More serious head injuries often require the use of an ICP to monitor fluctuations in pressure. Magnetic Resonance Imaging: An MRI is similar to a CT/CAT scan, but uses a different technique that produces higher resolution images of the brain itself, allowing physicians to identify problems and in better detail. Motor Cortex: This is an area of the brain that is heavily involved in planning and voluntary movement functions. It is found on the primary sensory cortex at the upper surface of the brain. Nasogastric Tube: A special tube that is inserted through the nose and travels through the throat and into the stomach in order to provide liquid food to brain injury patients. Neuro-Transmitters: Special chemicals produced by the nervous system that notify and send messages to the nerve cells. Oedema: A condition that is identified by an increased level of water content inside the brain, which can cause the brain to swell and increases the pressure inside the skull. Occipital Lobes: An area of the brain that is located at the back of the cerebral hemispheres, and is primarily responsible for main visual functions. Persistent Vegetative State: A term often used to describe brain injury patients who are capable of carrying out basic living functions (e.g. breathing, pulse) but show no signs of consciousness. Respiratory Arrest: A condition that is identified by a person who has stopped breathing and is unable to receive a sufficient amount of oxygen from the bloodstream to the lungs. If breathing is not restored immediately, the patient may go into cardiac arrest. Temporal Lobes: This area of the brain is part of the cerebral hemisphere and is found below the frontal and parietal lobes. The temporal lobes play a large role in hearing, language, visual perception, memory, and emotion. Ventilator: A machine used to sustain respiration for patients who may be unresponsive or in a coma. It delivers humidified air with an appropriate level of oxygen for the patient to artificially breathe.